By continuously investing in new machine tool technology, Swissline Precision LLC, a Kirkwood Holding Inc company, leads our industry in contract manufacturing, specializing in turned components and assemblies. The combination of a talented team, cutting edge technology, and continuous training fuel our growth and allows us to deliver precision high-quality components to our customers on time and at competitive prices. We have established ourselves as a valued supplier known for superior quality and on time performance. We continue to enhance customer communications to create true partnerships where our customers always have access to real time information on the progress of their parts. We are continuously strengthening our internal systems, our training programs and our customer service to facilitate a rapid response to changing market requirements and conditions. Swissline Precision LLC is both ISO 9001 and ISO 13485 certified and focuses on high quality, low cost, and shorter lead-times as top priorities. 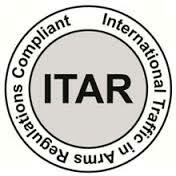 As part of our dedication to responsible manufacturing, Swissline Precision LLC is ITAR certified under Kirkwood Holding Inc. Click here to view our certification information.